With fall in the air, it's the perfect time for cinnamon rolls. Even better? 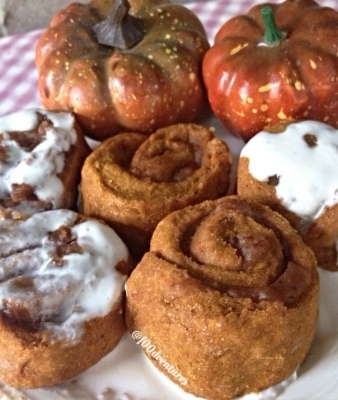 pumpkin cinnamon rolls with a maple glaze. and even better than that? this recipe is single serve and can be made in less than 10 minutes! Mix well and drizzle over your cinnamon rolls.